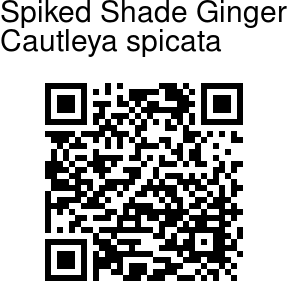 Spiked Shade Ginger is an attractive ginger found in the Himalayas, from Himachal Pradesh to Sikkim, at altitudes of 1800-2800. Flowers are yellow, few or many, crowded in an erect spike, 13-23 cm long, at the top of the stem. The yellow flowers are covered with dark red bracts, as long as the sepal tube. Leaves are narrow-elliptic, 13-25 cm long, 5-8 cm broad. 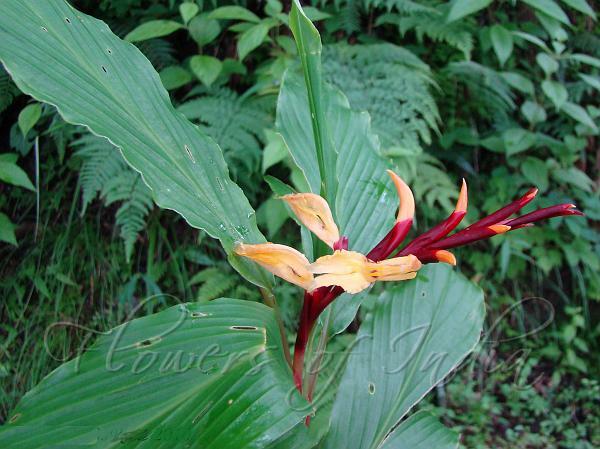 The plant grows up to 1-2 ft tall. It sometimes grows on another plant as an epiphyte. Flowering: July-September. Photographed in Tehri Distt. Uttrakhand.